If a photographer asked you to explain composition as it relates to photography, do you know what you would say? If your answer would be "I'm not 100% certain" or "I don't know enough to explain it" don't fret, you are in very good company. 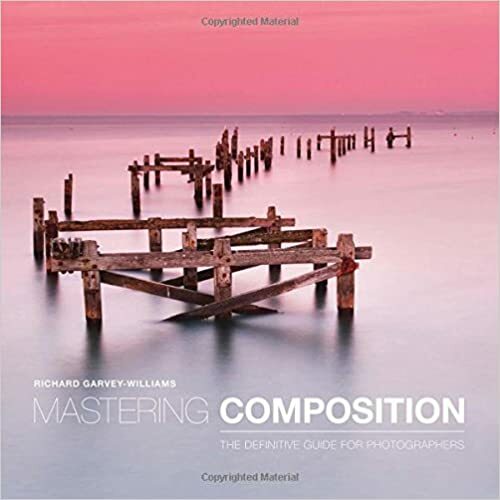 Aside from mastering exposure, composition is one of the most difficult parts of photography for many to learn, and with this series I hope to take some of the mystery out of it for you. In photography, composition refers to the structure, organization, and visual characteristics of the elements in your photograph. 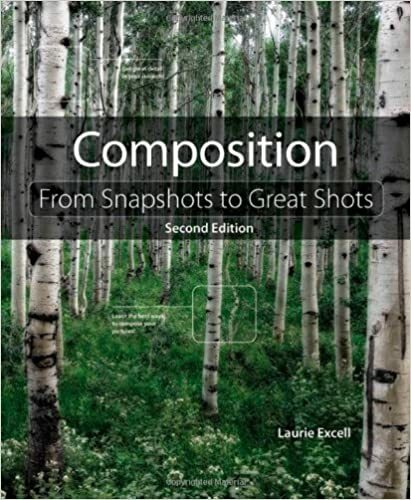 Compositions can be complex, powerful, boring, moody, uplifting, and a plethora of other adjectives. When you hear photographers refer to the composition of a photograph, likely they are talking about things like subject placement, lighting, color, lines, space, balance, and more. A Marriage of Crafts: My photographic learning curve has the benefit of 3O years of experience designing and painting wildlife art. In order to best reach my viewers I have spent my lifetime studying the compositions of paintings, photography, graphic art and works of countless other visual mediums. Evaluating my first serious bird prints three years ago confirmed something that I have suspected about photography for many years. Photography, like many other visual arts, is a marriage of two separate crafts: image design and execution. In life you can't have a long, fulfilling marriage if one of the spouses is not involved or only weakly participates. 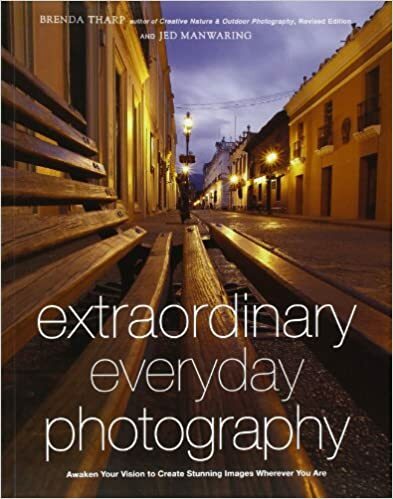 The same is true of photography. In order to consistently create technically perfect, visually pleasing images, I feel that both sides of photography need to be understood. Take a look at some of your favorite shots; I would be willing to bet that many of them have a good balance of technical strength and effectiveness in composition and design. Composition Guidelines: Tools, not Rules: The value of guidelines in some photographic discussions can be a controversial topic. There are some who feel that trying to remember and apply rules stifles their creativity and hinders their photographic experience. There are others who follow every rule imaginable, never experiment, and create photographs that look like 95% of the photographs out there: compositionally sound but nothing special. 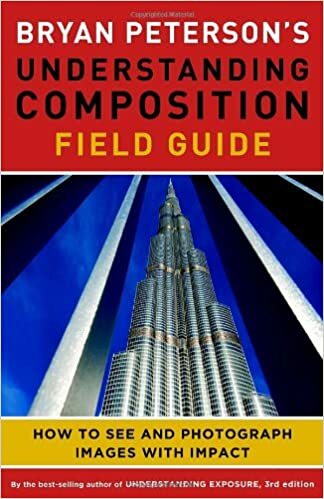 Composition can be so distant a concept to some that they avoid learning it altogether or worse, dismiss it as nonsense, taking refuge behind artistic license and creativity. Shoot in sidelight to reveal the texture of your subjects and add a 3D feel. Experiment, have fun, and play with the guidelines! You may do something so innovative that you create a new guideline and retire an old one. Whatever you do, treat composition guidelines as what they are: tools and not rules. Moving Beyond the Guidelines: The beauty of understanding composition guidelines is that when you want to experiment and try something new, if you build on solid, proven guidelines, success is already on your side. You can pass beyond those "compositionally sound but nothing special" photographs that everyone else is making and create images that nobody has ever seen. Images that nobody has ever seen but that are compositionally solid and technically perfect. Those are the kinds of images that make people stand up and take notice; regardless of your specialty. Push the boundaries of technique and creativity in your photography and start creating images instead of recording nature. If I had a digital camera and no cost of processing, there would be no stopping me. In the first article we discussed the importance of being able to identify the various elements of a composition so you can see how they work together to create a whole image. In the remainder of the series we examine these elements in detail, starting with light. Light Light can speak for us. It can suggest things like time of day, mood, and it can even tell stories. 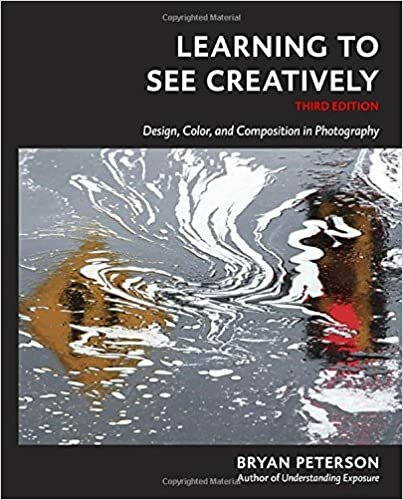 It can also do practical things like guide the eye around an image, reveal hidden textures, act as the main subject of the image, or help to emphasize a subject. In order to do these things, a photographer should have a good understanding of light, its properties and how it is rendered on their chosen capture medium. The Color of Light: To reach us, light waves of color must travel from the sun and through our atmosphere, which acts as a filter. Because of the curvature of the earth, at sunup and sundown, these light waves must travel through more of our atmosphere than they would if coming from directly overhead at midday. As these light waves swim through our thick atmosphere, the shorter wavelengths on the cool end of the spectrum get lost in atmospheric dust and water and cannot reach us. This leaves the longer, warmer waves of light to penetrate our atmosphere and illuminate our subjects. As the sun climbs higher into the sky, it shines more directly through our atmosphere, allowing the shorter, cooler wavelengths to reach us, better balancing the color of the light. On a clear day when the sun is directly overhead, it should exhibit no color when cast onto a white surface. Because many nature photographers prefer the rich, warm colors of early and late light, they will wait until the time is just right to make their magic. Reflected Light: A well-known fact about light is that light colors reflect light, and dark colors absorb light. A great illustration of this fact is a soaring bald eagle in a beach environment. Because dark feathers absorb light, if the bird is flying over dark blue water, the detail in the dark underside of the bird can be difficult to see unless the bird banks into the sun. We can solve this problem by using flash as fill or rely on light reflected from the water to light the underside of the bird. Imagine that same bird flying over brightly lit white sand. The light will be reflected, or bounced, back up to the bird, softly illuminating its underside. The degree of brightness depends on the intensity of the sun and how close the bird is to the sand. Indirect Light and Partial Light: Indirect light is light that has been obstructed by clouds, fog, heavy rain, snow, smoke, mist, and other atmospheric particles. This light is usually soft and diffused, minimizing or completely eliminating dark shadows. Many landscape and flower photographers shoot on overcast days as the colors appear more saturated and harsh shadows are kept to a minimum. Partially obstructed light is referred to as dappled or partial light and usually involves some amount of shade. An example of dappled light would be sunlight streaming through the leaves of a tree, leaving spotted shadows on your subject. It is a good idea to evaluate the darkness of the shadows falling onto your subject to see if fill flash will save some detail in those areas. To do this, throw your entire scene out-of-focus using the focusing ring on your lens. This breaks your scene down to shapes, values, and hues for easy inspection. Front Light: A good use for front lighting is when you have an image with a lot of color that doesn't rely on depth and texture. With front lighting the part of the subject to be photographed is facing the sun. If the light is bright, it can render your subjects flat and texture less in spite of exposure compensation efforts. Because front light creates few shadows on the subject, it's not very useful in creating a three-dimensional effect in your scene. Sidelight: Side lighting is helpful in emphasizing the texture of an object. It creates shadows and depth and gives the viewer a good sense of what the object might feel like, further enhancing the viewing experience. It works great when you have objects of varying textures on different planes. When shooting in sidelight, use a lens hood to avoid stray light creeping into your image. Backlight: Backlighting is often used to show a subject in a striking or unusual way. With backlighting the sun is behind your subject and whatever is translucent in your scene will glow in the backlighting. When shooting backlit, exposure composition and/or the use of fill flash may be required to properly expose your subject. Protect your vision by not looking directly into a bright sun through your lens. Lens flare can be problematic so make sure to examine the highlights in your image carefully. Top Light: Many nature photographers will avoid shooting when the sun is directly overhead. The sun is usually at its brightest and as we discussed earlier, the light is its least colorful at this time. This angle could result in high contrast images with short, dark vertical shadows. It is wise to not rule out top light for all situations. There are times when it is useful such as when capturing abstract patterns and repetition in nature. Artificial Light: When there is not enough sunlight to illuminate a subject or scene, photographers will often rely on flash to lend a hand. Flash can be used as main light, an additional source of light or as fill, which is referred to as "fill flash." Using the flash as main light means that the majority of the scene is lit by the flash's burst of light. Fill flash is used to fill in shadows or areas that would be rendered too dark without additional light. Examples of using fill flash are: bringing details out of deep shadows, as a supplementary light source for dark objects in soft light, lighting the dark side of a backlit subject, and lighting the underside of a dark bird in flight. Some cameras will restrict the use of flash to the capabilities of the in-camera flash or, "pop up flash." For better control over flash output many photographers will invest in a separate, more sophisticated flash unit. Other Sources of Light: Some creative photographers use other sources of light to illuminate their subjects, such as: flashlights, candles, streetlights, firelight, and colored lights. 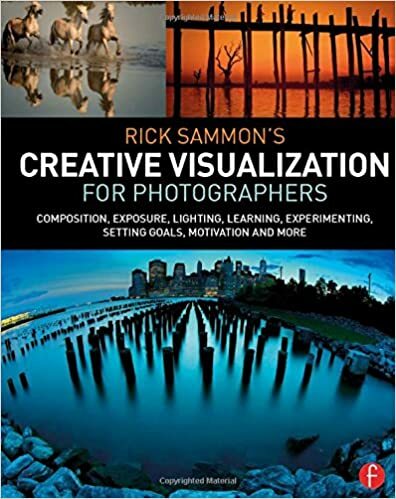 I suggest reading a book on lighting for photography to see what options are available for nature photography and how they are safely used. It is my great hope that you use this information as a base for your own exploration of composition and the aesthetics of nature photography. In the next article we examine the following: purpose of the image; format; subject placement and the Rule of Thirds; foregrounds, middle grounds and backgrounds; and, color. Until then, happy shooting! I would like to thank Mark LaGrange for his assistance and adding his wonderfully creative insights to this part of the series.